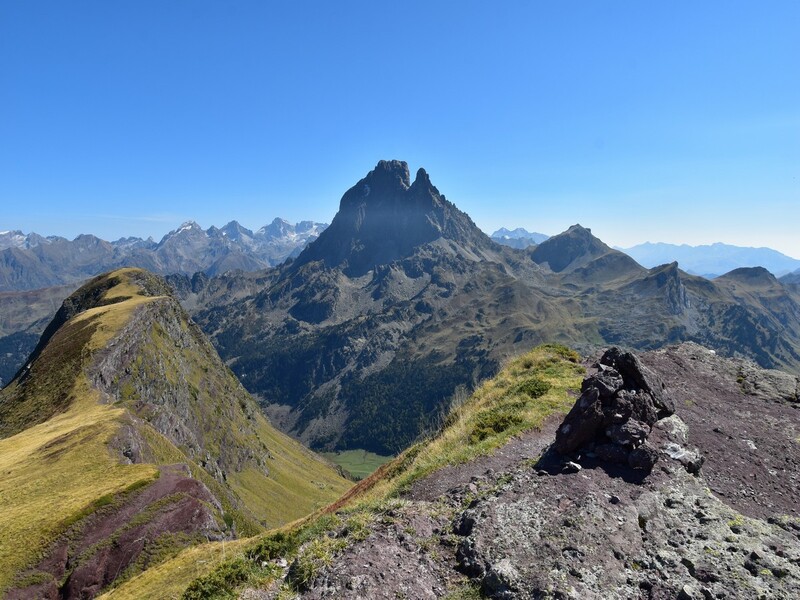 Booking a hiking holiday in the French Pyrenees is a great idea, and this trip planning guide is going to give you answers to “where to stay” and “what to do” while in The French Pyrenees. The famous mountain range that splits France and Spain is an adventure wonderland just waiting for you to explore. There is a remoteness to this area that we really love. 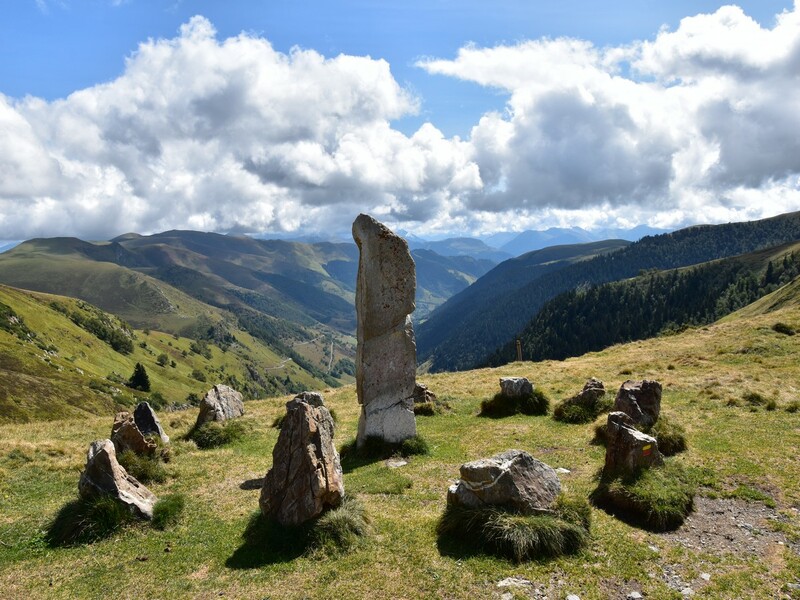 It still sees plenty of tourism, however The French Pyrenees doesn’t see as nearly as much tourism as the Alps or other parts of Europe. That’s surprising, as there French Pyrenees are stunning. We decided to embrace the small, quaint, alpine feel that the French Pyrenees provides. Instead of staying outside the mountains in the bigger cities, we think one should be in amongst the peaks and valleys. 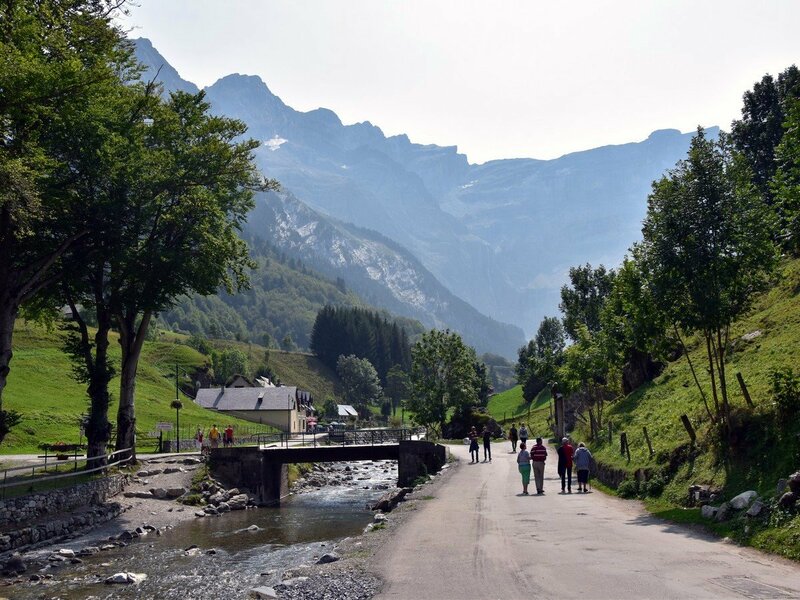 While we didn’t focus on every town in the French Pyrenees, we chose three towns that offer enough services to be good bases for an activity-based holiday. The three towns we focus on are Saint-Lary-Soulan, Cauterets, and Bagneres-de-Luchon. They are listed here in a descending order of size. All three are centrally located, close to most of our hikes, and easy to access from the airports. We also mention some of the great refuges you can stay at while hiking. The two airports we recommend when trying to get to the Pyrenees are Pau Airport (PUF) and Tarbes Lourdes Pyrénnees (LDE). Both will get you to the centre of the region in less than two hours of driving. Finding a train into the mountains is somewhat possible, but you’ll likely want to rent a car to make the most of your trip (see below). People also fly into Toulouse (TLS) or Biarritz (BIQ) both of which are served by low-cost carriers. As we generally recommend, June through August will be the warmest, but you’ll also have the most tourists. In the Pyrenees, low-snow years means some hiking will be open as early as May and the season may extend into November. In big snow years, a more typical June – October season is best. If you come in July and August you may run into afternoon lightening storms, check out our “Dangers in the Park” section to learn more. Summer also brings festivals, such as the fire festivals that occur on the summer solstice (June 23rd) in Bagneres du Luchon and other regions in France and Spain. We recommend renting a car while in the Pyrenees. When you look at the size of the region and distances public transportation is either inconvenient or doesn’t exist. A car looks like an even bigger essential if you look at the map of our hikes in the Pyrenees. 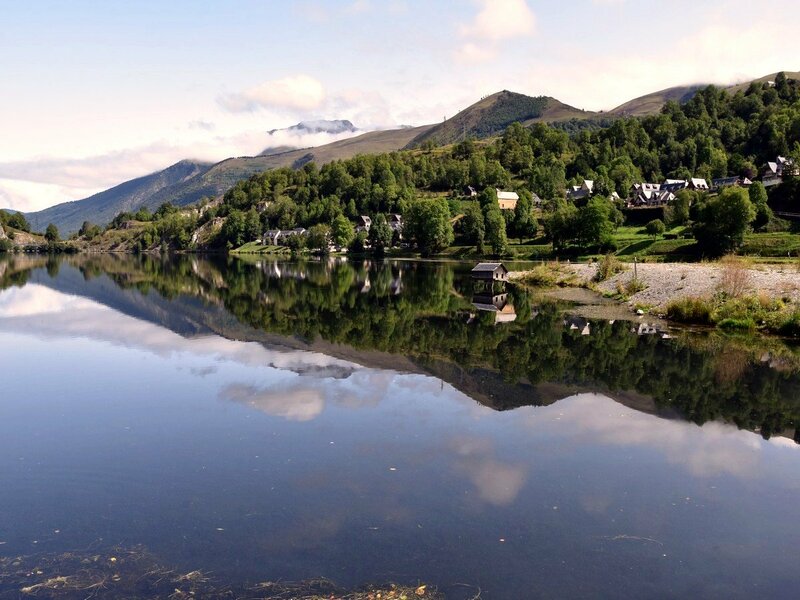 As described above, we decided to focus on three different villages for our accommodations. We enjoy staying close to the best hikes so that we can spend less time driving to trailheads. Plus, the culture and food in France is so rich that even the smallest of towns has gastronomic treats! If you want to be as close as possible to the trailheads don’t miss the section where we discuss which refuges to stay at near our hikes. First, however, lets start with the village of Cauterets.  We picked Cauterets because its combination of size and location mean you can be near great hiking while still having a town that has a lot to do. For a great upper-mid-scale hotel in Cauterets check out Le Lion d’Or. Their breakfast is spot on – it includes fresh squeezed orange juice – and the antique furniture is really charming. They are usually closed for a few weeks in late-April and again in Autumn. Now, if “antique” and “charming” are red flags for you, then try Hotel Les Edelweiss. It’s a comparable price, newer looking rooms, free parking, but with a less impressive breakfast and a little less luxurious. The hotel is usually closed in May, October and November. To soak even more of the beautiful mountain views why not go camping? Camping Cabaliros, the campground in Cauterets, is worth mentioning. Mountains surround you, there are fresh pastries for sale each morning, and there are games for kids. It’s not camping like you’d find in North America, but it’s budget friendly. In winter they have chalet-inspired mobile homes for rent. Saint-Lary-Soulan is the next town on our list, and it’s the biggest town we feature. We love the views from the streets in town and the town has a nice atmosphere. Mercure Saint Lary Sensoria is Saint Lary’s best hotel. The 4-star accommodation is in a great location, near bars and restaurants, and we enjoyed the breakfast. They also have secure bike storage for the great trails in Saint Lary. If you want a more affordable hotel in Saint-Lary Soulan then check out Les Arches. We found the 3-star accommodations to be more than satisfying and better for kids perhaps because of their pool. If the idea of a pool sounds good to you then perhaps a stay at Camping Saint-Lary is in your future. The plots are just square sets of grass but the common area is quite nice and the outdoor pool is a big plus. Saint-Larry-Soulan has loads of great B&B’s with the best one being La Ferme de Soulan. This converted farmhouse has four rooms and a sauna for patrons. Can you think of a better way to relax after a long day of hiking? We love the sauna. The Ferme is closed April, May, October and November. Bagnères-de-Luchon is the last village we mention and it’s the smallest too. We found the B&B’s in Bagnères to usually be of a better quality than the hotels. There is something about the hosts in this village that we love, they are all so accommodating. The Free Range Chalet has surprisingly large rooms and fantastic meals. The building looks like it belongs in a charming, alpine, old Hollywood romance movie. The location is good and the price is fair. You’ll love hosts Victoria and Geoff. The chalet is closed in November. Au Dela du Temps is another great B&B. The dining room is extremely charming and there is a great pool and common area as well. If B&Bs aren’t your scene then take a look at Hotel Panoramic. This hotel is right in the centre of town, which we enjoyed. You’ll feel so immersed in this beautiful town and that always makes the trip extra special. It’s a 3-star hotel but the price can often drop down in the spring and fall, so keep an eye out for deals. Don’t miss out on the breakfast buffet. Hotel Le Floreal is our chosen 2-star option. They opted for a very wooden, handcrafted chalet aesthetic, which we think looks great in their wine bar area. This is reliably more budget friendly and doesn’t have any major drawbacks as far as we’re concerned. For the extremely adventurous we recommend staying at the refuges while hiking. The accommodations are always agreeable. Typically the rooms are both small and simple or they are set up like a hostel. Don’t let the word “hostel” paint the entire picture though because the food they serve at these refuges is almost always amazing. It’s the kind of food that seems to simple, but is so delicious. 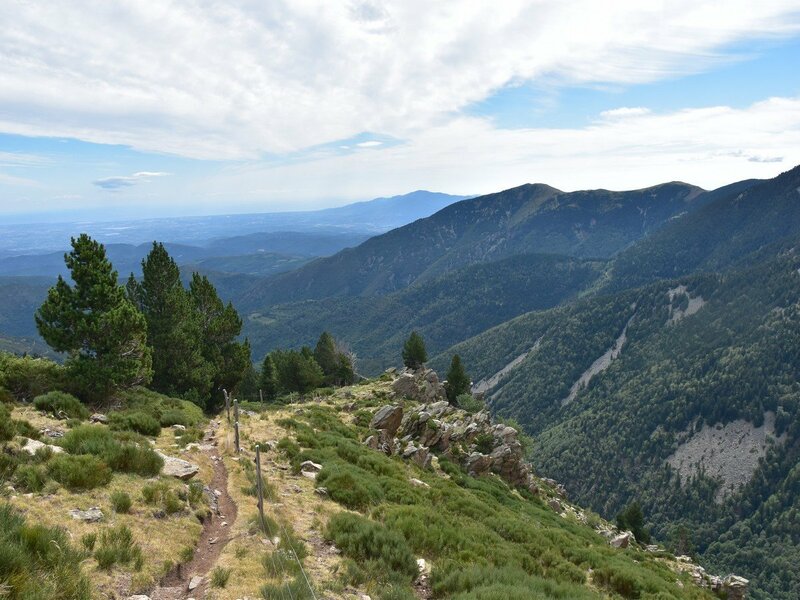 The refuges on our hardest hikes are Cabane de Larreix by our Cagire Loop, the Refuge Ayous on our Lacs et Pic d’Ayous Hike, the Refuge Cortalets on our Pic du Canigou hike, and the Refuge de Basis on our Pique Rouge de Bassies hike. Check out their opening dates, most are closed in winter. 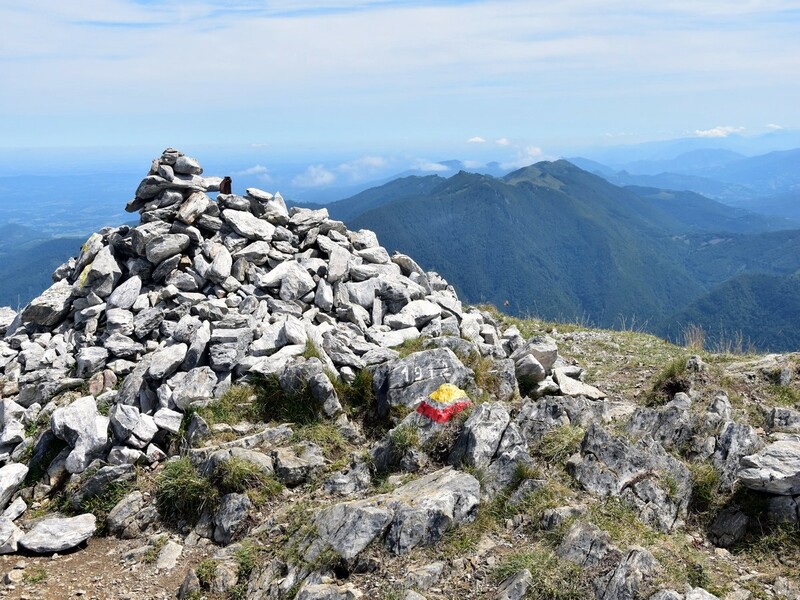 For some easier hike and refuge combos try the Refuge du Lac d’Oô and our Lac d’Oô hike or the Orédon Refuge on our Oredon – Aubert – Aumar hike. Starting now where we ended, Bagneres-de-Luchon has loads of cute little eateries. If charcuterie plates and fondue are what you’re after, then head to L’Arbesquens. Nothing is fancy about the plating or décor, but it’s the kind of well-loved comfort food that can restore a tired hiker’s energy. If you need something quick to eat while you’re trying to fit in all your adventuring check out the quaint Chez Thao. Now Vietnamese food might not be what you’re expecting, but the price is right and it’s really quite tasty. It’s a nice family run place that you love to see do well. La Pate A Crepes is a quick, cheap place to grab a bite too, if you’re looking for something more French, but we would typically head to Chez Thao first. This small village seems to spend its resources cooking up hearty local favourites. La Grande Fache is the spot to go for fondue in town. There is a great terrace open in the summer too. They serve other things too for non-fondue lovers. La Cheserie is the place to go for wine and cheese (shocking, eh?). As tourists in a new country, this is so perfect. They do meat boards as well and we were more than happy to snack on meats, cheeses, and breads while sipping on French wines. And our favourite quick stop for lunch has to be Le Jardin D’Oh. They do great little salads, smoothies, sandwiches, and baked goods. Most people sit down here, but don’t feel bad asking for take out. Our favourite spot in Saint-Larry-Soulan was La Galette D’Or. There are two crepe spots in town worth checking out, but we thought La Galette D’Or was the best of them. It’s all homemade, delicious, and it comes in at a mid-range price. For some cheaper crepes check out Creperie le Bilitis. The price difference isn’t too drastic. What’s good to know about Creperie le Bilitis is that they stay open on Sundays, which is somewhat rare for businesses in the region. If the kids have been good and you feel like spoiling them, head to Le Coucaril for their amazing hot chocolate. Their menu has lots to offer too, but I wouldn’t put their food above something like La Galette D’Or. Now, if you’ve been good and deserve a treat, head to Le Balthazar for wine and tapas. Everything is tasty and well priced. For fine dining we recommend La Grange. They have set up shop in a renovated stone barn with a beautiful fireplace and a great outdoor terrace. The food is sublime. We recommend booking in advance. 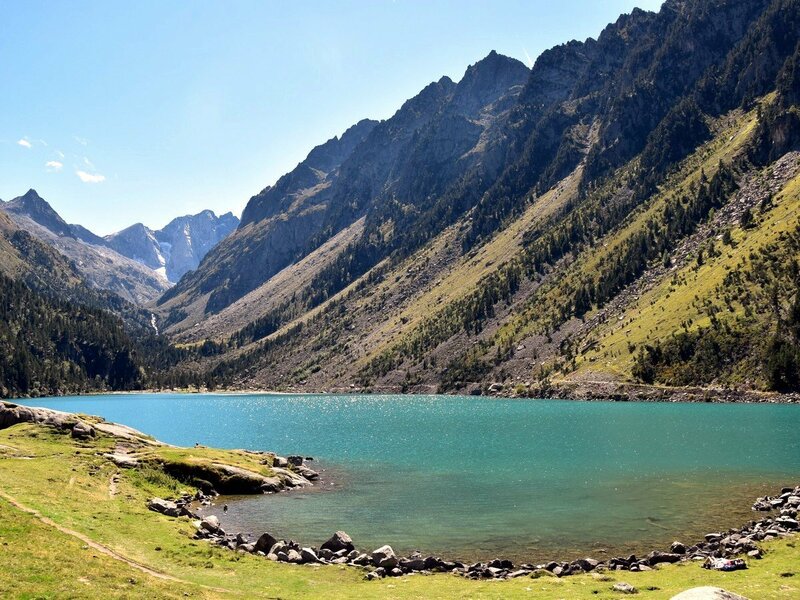 WHAT ELSE CAN YOU DO BESIDES HIKING IN The Pyrenees? 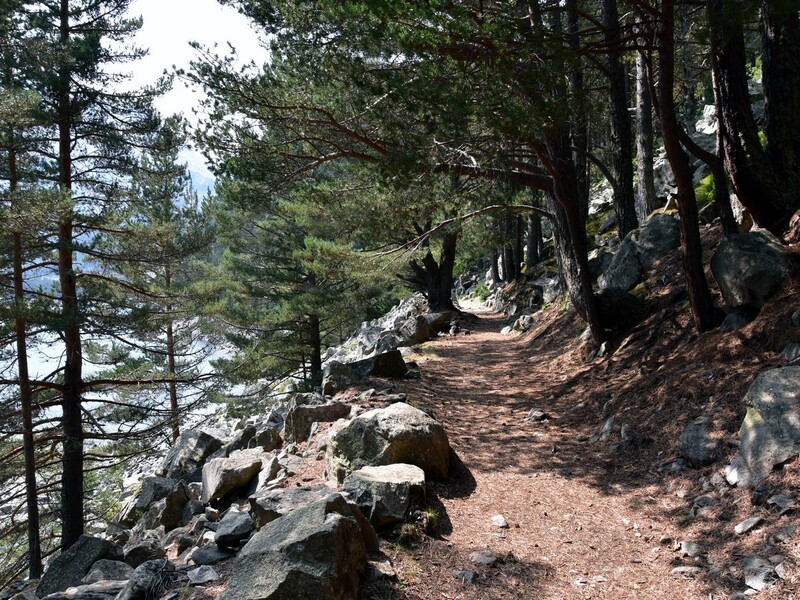 For those looking for more adventure (past our awesome hikes of course) in Saint-Lary-Soulan there are lots of choices – it’s one of the reasons we like staying here. For example, you can get in touch with the folks at Canyoning Saint-Lary. You’ll get wet on this canyoneering adventure, but the beauty of the water-worn rocks is really something. Not a fan of water and enclosed spaces? Try checking out the impressive, downhill mountain bike park! With plenty of different routes to take, there’s a course for every skill level. They have lots of built-in wooden turns and ramps that make it loads of fun. If you’re looking for something active to do in Cauterets try Tom Rafting. Getting out onto the river on a hot day can be extremely refreshing. The guides are great, making it more fun and less intimidating. Paragliding is very popular in all the alpine environments in France and The Pyrenees is no expectations. If you’re in Bagneres-de-Luchon check out Freddy Sutre Parapente. They take you up tandem and it’s a remarkable way to see the mountains. Now, extra activity isn’t always everyone’s cup of tea, in fact if you want to see the sights, but hiking is too much strain, you can go on a Segway tour in Bagneres-de-Luchon with Mobilboard. Or, if you’ve managed to accomplish your hiking goals and need a good reward try a spa day! Our favourite spas in each of our recommended cities are up to the challenge of getting you rested and recovered. If you’re in Bagneres-de-Luchon go to Les Thermes de Luchon. In Saint-Larry-Soulan visit the Top Glisse – Mahana Spa. And finally, if you’re in Cauterets you can go take a dip in Les Bains Du Rocher. This is a beautiful facility that can be supremely relaxing. Due note though that men must wear tight fitting trunks, or speedos. Loose shorts will not be allowed. 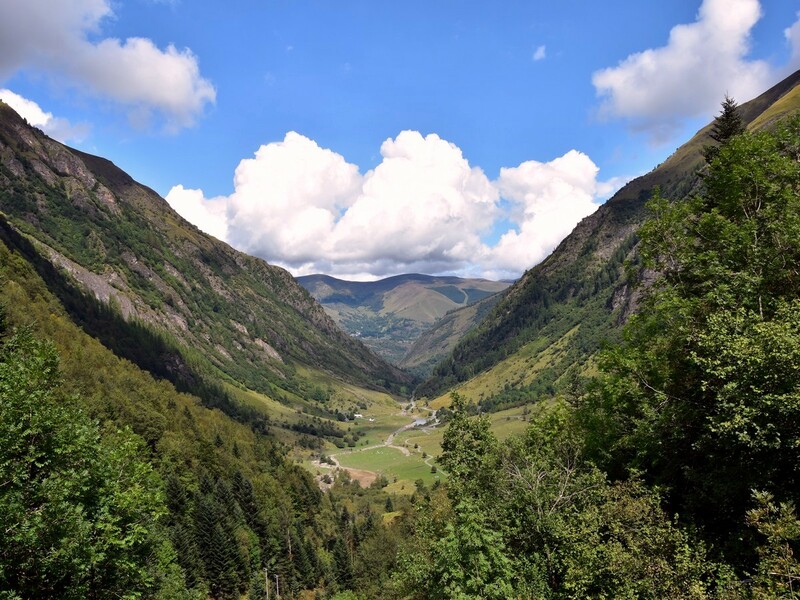 Nestled inside the Pyrenean mountains is the City State of Andorra. Andorra is the 16th smallest country in the world, and it is governed by a Diarchy (a ruling of two co-princes). 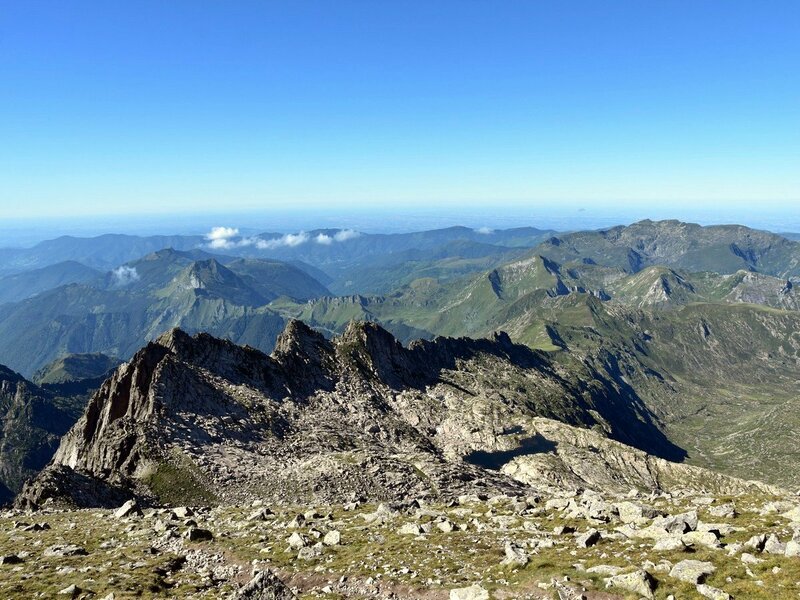 The natural border that the Pyrenees creates has long been the borderline between Spain and France. It has been completely unchanged since 1659. Two different breeds of large, fluffy guard dogs get their name from the Pyrenees: the Pyrenean Mastiff, and the Great Pyrenees.